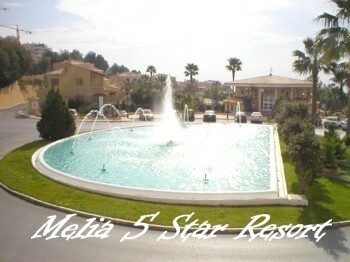 Set on mountainside of the Sierra Bernia in the 5* Melia resort of Altea hills, price includes use of hotel leisure facilities(some payable)in hotel complex. 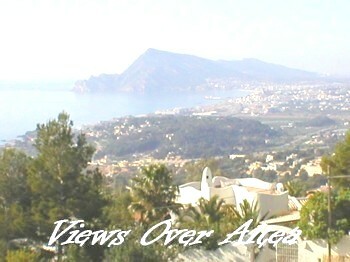 The villa stands detached in a large corner plot with spectacular views of both the sea and Sierra Bernia mountains. 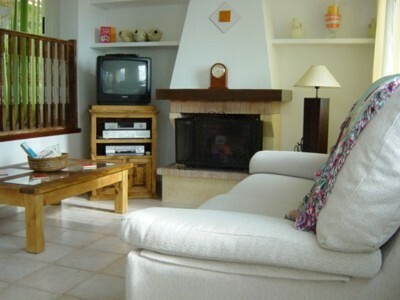 Accommodation is set over 2 levels and consists of fully equipped kitchen, dining area, lounge with satellite TV, dvd, video, cd stereo and open log burning fire, conservatory with furniture,1 downstairs bedroom with en-suite bathroom and king size bed, and trouser press, upstairs has 1 further bedroom, again king bed, 1 twin room with shared bathroom, guest toilet to hallway. Separate to this is a further bedroom with king size bed, which is self contained with shower room and separate from the main house. 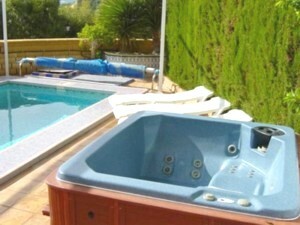 Outside is large terraced area, private pool and jacuzzi hot tub, all with sun canopies, gas barbeque, also on a seperate terrace is mini open air gym, with both cycling and rowing machines for the energetic!! !